Hi: I got paid today and can pay you for the storybook boxes. Also, do you have any of the new doodle templates or a paper edger? Let me know and I'll settle up! ttys. How are you? Want to chat? Hey, How are you doing? I want to know about the puppy. Let me know how you are. OK? Glad you were able to find them. Anytime you need something, don't hesitate to ask. We pop into Disney several times during the year and I would be happy to assist anytime. Have a great one and enjoy those fitflops. Thanks for the link and the size. I will see if I can't find them for you. Wish me luck. I will be in touch. I would be happy to pick you up a pair. Don't worry about the money part until we get it all sorted out. Just let me know what size and perhaps a link so I make sure I get exactly what you are wanting. Happy to help. WOW! Awesome! Glad your home safe and sound and had an amazing trip. I look forward to seeing some LO's...well I know it is harder since they are not Disney related. lol... but still hope to see some. 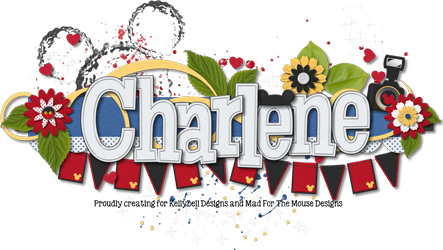 Thanks for all your help with MouseScrappers Charlene!